CLEAN – please clean them BEFORE arriving at the rink. RINK SAFE – NO bolts sticking out side of wheels or excessively worn wheels or wheel stops. ALL WHEELS – must be attached, no spaces allowed. Skates intended for toe stops MUST have toe stops or plugs on BEFORE entering the rink. 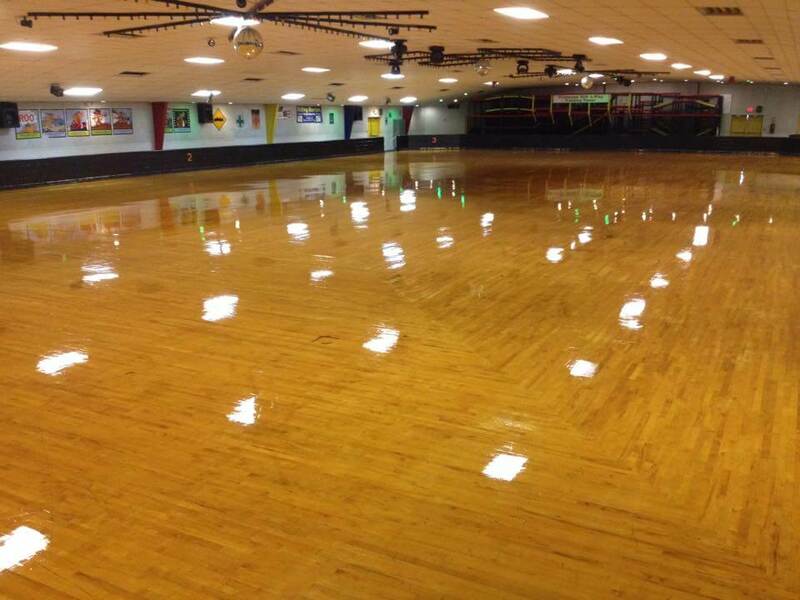 We seek to maintain the condition of our floor by preventing skating plates from digging into the floor. Rollerblades and outdoor wheels must be cleaned before entering the rink. Rollerblades must have all eight wheels. This helps to protect the plastic coating used on our wood floor. NO exceptions will be made. PLEASE NOTE: Fog and Strobe Lights Are Used In Our Facility! NO Food Or Drink are allowed to be brought into the building. Not responsible for accidents . . . Skate at your own risk! 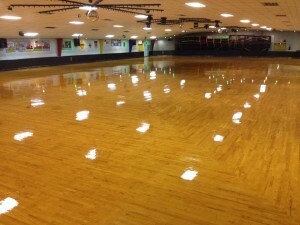 While skating; no pushing, fast skating, playing tag, or suddenly stopping at any time on the skate floor is permitted, Unless instructed otherwise, as these actions will jeopardize the safety of other skaters. No in-and-out privileges. Once you leave you MUST re-pay! NO SMOKING in the rink. State law prohibits smoking by anyone under the age of 18. Skaters (and guests) are to be neatly groomed; clothes neat and clean. Socks Must Be Worn With Skates, We Sell Them Here! Girl’s shorts/skirts must be fingertip length. Clothing with inappropriate slogans will not be allowed.